DJI GO is the primary application that many DJI pilots use to fly their drone. However, while DJI GO is great for most users, it often does not sufficiently satisfy the many tastes diverse pilots around the world yearn for. Thanks to DJI’s SDK (Software or Solutions Development Kit), there are now other applications that DJI pilots can easily install on their mobile device for a completely different (and many times, superior) flying experience. It’s not uncommon to hear pilots say that they don’t trust 3rd-party applications – for the record, I don’t blame them. Your drone is a big investment and you don’t want to risk anything happening. With that said, the top 3rd-party DJI apps have thousands of users and substantial flying hours and testing under their belts. I’ve had conversations with many pilots who trust these 3rd-party apps more than they trust DJI GO because of better connectivity, control, and other factors that I’ll outline below. The Xiaomi Yi Action Camera is a “GoPro type” sports and action camera which promises good quality at 1/3rd the price of the major brands. It uses top quality components such as a Sony camera chip (sensor) and an Ambarella image processor. Prices vary depending on the vendor, but are generally in the range of $70-$90 without the waterproof casing. Adding the factory (Xiaomi brand) waterproof case adds another $25 or so. 3rd party underwater cases can be purchased for less than $10, however I did not feel comfortable protecting my Yi with anything other than the factory produced case. I purchased the Yi from Banggood at this link. Banggood ships worldwide and may also have a warehouse in your country. Be sure to look for coupon and discount codes on the Banggood site. This is a review and commentary on the HiSky HMX280 Quadcopter introduced in 2015 and available at Banggood using this link. What is it? 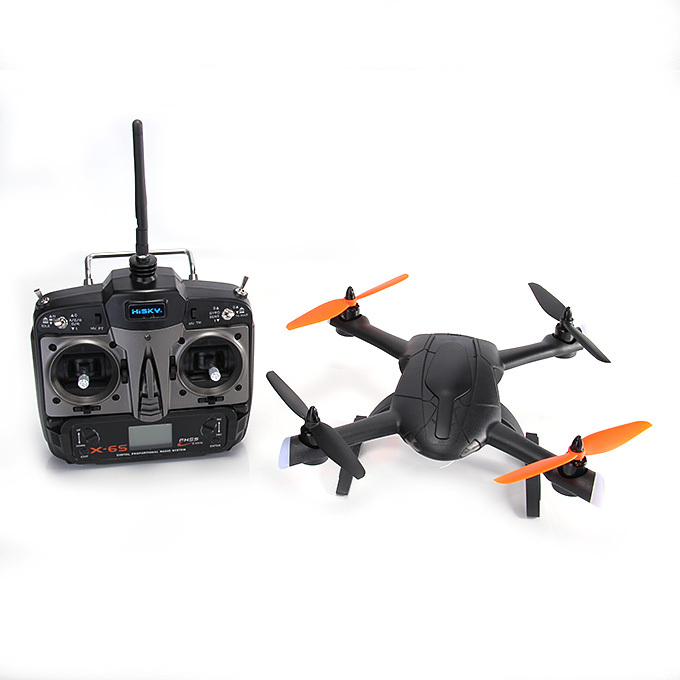 – the HM280 is an RTF (Ready to Fly) mid-sized quadcopter with powerful brushless motors. It comes complete with the Remote (TX), the quadcopter, a battery and a battery charger. It sells for approx. $175 which makes it a very good value in this category.